Two of this year's hottest food trends are on their way to South bank and we have all the details. 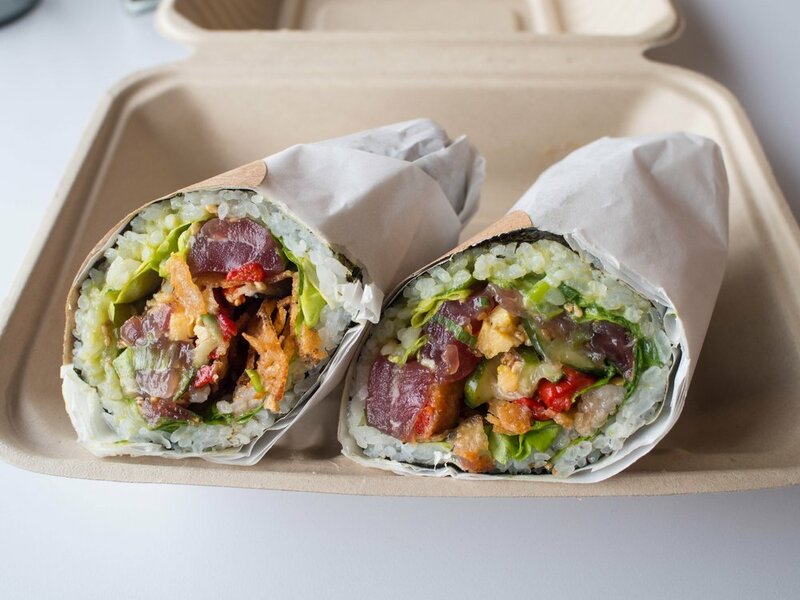 For long have we drooled in agony at photos of Sushi Burritos made popular by the iconic Sushiritto in California. Well, we are happy to report your torment will soon end because a new restaurant called Suki is set to open this month! Those not in the know may be scratching their heads as to what a sushi burrito is... Well, it's exactly what the name suggests... a sushi roll but in a burrito form! These massive wrapped rolls are the perfect on the go lunch while you leisurely stroll the South bank parklands. That's not the only trend Suki will be bringing to the river city. They will also have a number of delicious poke bowls on their menu. A poke bowl is a Japanese inspired rice bowl dish loaded up with fresh raw fish, and other tasty toppings like avocado, cucumber, etc. Words by Chelsea Hawkins. Photo via Odyssey.